Russia's Federal Security Service (FSB) has arrested alleged arms smugglers in nationwide raids, saying the suspects have used international postal services to ship weapons from the US to Russia. Several Russian citizens suspected of firearms trafficking were detained during a series of special operations in March in Moscow, as well as in parts of central Russia and Siberia, the FSB reported on Thursday. A large number of firearms were seized, including machine guns, US-made AR-15 assault rifles, Glock and Colt pistols and revolvers, as well as Mauser and other guns with large amounts of supporting ammunition and component parts, the FSB said. International postal shipments were used by the suspected criminal group to smuggle the weapons into Russia from the US, the state agency said. Two backstreet workshops in Russia were operated to modernize the firearms, the FSB added. 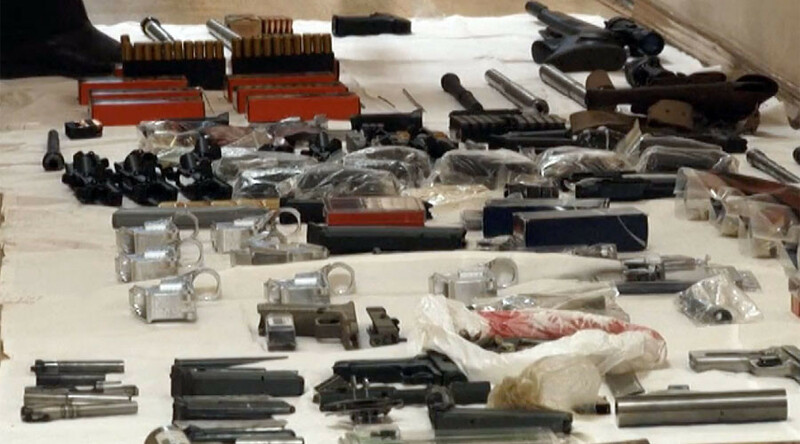 Criminal cases on arms trafficking have been launched, the agency reported, saying that while investigative work on the case proceeds, the FSB continues to block illegal arms supply chains from abroad.